Restore the vikings’ village after disastrous earthquakes and return the land its former glory in the nice time management game Times Of Vikings! Are you fond of northern ballads and legends? It’s time to play the absorbing game made on the basis of plots from north! Visit north and help the vikings rebuild their village after the series of destructive cataclysms! Only you can help the hard-working folks return their land its beauty! You have a lot to do, so get through the detailed tutorial to understand what to do and the way to cope with all the problems faster. 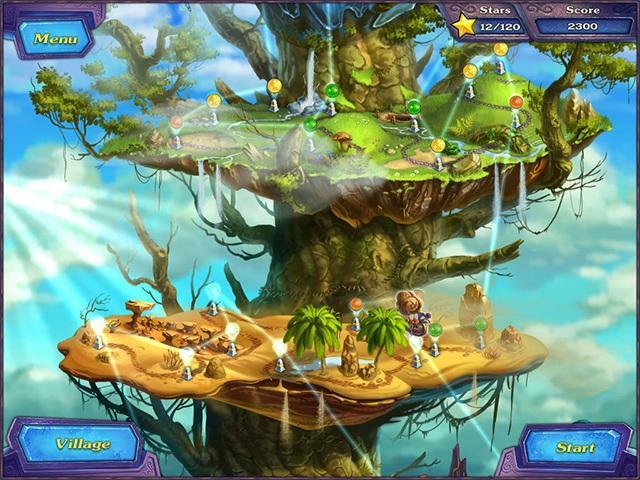 Find 4 runes to return peace to the land and defeat the cunning dragon who is eager to destroy the Tree of Life! The strongest warriors of the village have embarked on a quest to find the 4 elemental runes and fight the dragon – join them in this ravishing adventure! Will they be able to find the missing runes and save the vikings’ worlds? 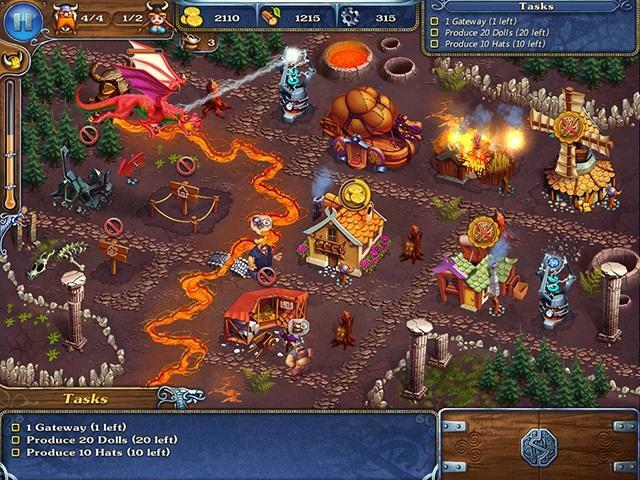 Guide them to success and banish the dragon in this action-packed time management adventure! At first, you’ll see just bare lands on the place where the life is in full swing! Start building all types of constructions and develop both economic and all the aspects of life in the village. But as you have already guessed you won’t be able to overcome all the difficulties and solve all the problems alone. 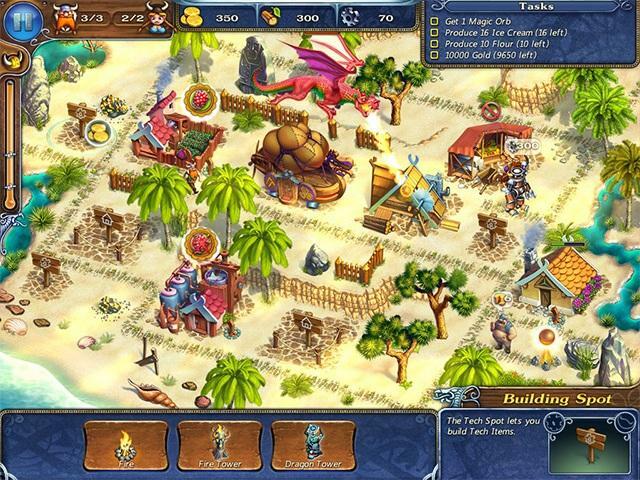 Hire vikings to help you rebuilding the village and defeat the evil dragon together! There are a lot of tasks to do: get magic orbs, build various types of constructions and produce both dolls and hats. Cut down trees and mine rocks to supply workers with resources for building and set a cattle farm, a cheese factory, a sawmill and even a berry crusher to satisfy your folks in the game Times Of Vikings! All the cataclysms happen because of the wicked sorcerer intrigues, he sent plagues to the vikings’ world and woke the dragon up. You have no time to hesitate, explore the Ice World in the fabulous Times Of Vikings game and show the evil creatures who is a true ruler here!